The beautiful Bullmastiff is a gentle giant who simply adores those he loves. The beautiful Bullmastiff is a gentle giant who simply adores those he loves. He is a powerful breed that requires training and a good strong leader to ensure they thrive into well-rounded and happy dogs. A very loyal and loving breed that is sure to brighten the lives of those they share their slobbery attention with. 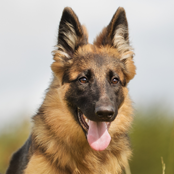 This strong, confident and loyal breed can be known for their stubbornness. This can make them a litter harder to train than other breeds. However, once your precious pup understands that training is fun and entertaining they are easy to encourage and thrive in group training sessions and puppy-preschools. Training is a must with these pups as they will quickly grow into large powerful dogs. They can be fiercely protective of their families, after being bred to guard the grounds of game-keepers it is no surprise they still have many of their original guarding traits. For this reason, early socialisation is very important to ward off possible aggressiveness in untrained dogs. Getting your young pup used to many different experiences is vital, as too, different people, pets and children. The more exposure to the outside world the better! The Bullmastiff is incredibly easy to groom and maintain, only requiring a simple brush with a rubber mitt weekly to help remove dead hair and skin. They are not big shedders but will lose a little hair during seasonal changes. It’s a good idea to get your puppy used to you touching inside his mouth, paws, underbelly and ears. Then when it comes time for the vet check-up, your pup will be happy to sit through an examination. This breed only requires bathing occasionally or after rolling in something smelly! Nail clipping is also recommended for this large breed and the sooner you get your pup used to the experience the better. Seek advice if you are unsure on how to correctly clip your pet’s nails. The Bullmastiff is known for being a slobbery loving breed that is sure to leave their mark – possibly on furniture and walls, and surely your heart. Interestingly this large breed does not require endless hours of exercise. As your energetic pup grows they will also calm and much prefer to laze the days away sleeping in the sun. However, like with all dogs a daily walk is recommended to keep them happy and in good condition. Walking is like watching a good TV show and provides exercise and ample entertainment. 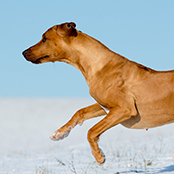 The breed is known to have a mind of their own which can make them a litter harder to train. This intelligence can also see your board Bullmastiff becoming destructive. Creative thinking and adequate exercise is important to keep your pup and grown dog happy and entertained. They do not mind being left alone, however if board they will certainly find their own entertainment! Good fences is also a must with this breed. The Bullmastiff is a very loyal and loving family dog. However, despite their high-tolerance level with little humans, due to their sheer size they can get into trouble for accidentally knocking toddlers over. This is where training and manners is a must. Like with all breeds, young children need to be correctly taught how to behave around a dog. The Bullmastiff does well outside during the day but will prefer the company of humans and a solid couch to lean against. Their coats are very hardy; however, they will need ample shade and water to keep the heat at bay. 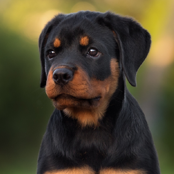 Due to their short coat’s they can feel the cold a little more than longer coated breeds and will benefit from a good sheltered area during the cooler months. Like all breeds they will simply want to be alongside their human ‘pack’ and the adult Bullmastiff will love nothing more than curling up at your feet. As pup’s they can be energetic and jumpy however will calm to lazy loving companions.